The idyllic mountain town of Whistler is the epitome of a winter wonderland during the year's colder months, as it transforms into a snow-covered haven for skiers and snowboarders. In addition to the vast expanse of slopes and runs on the mountain, Whistler is home to a charming village that boasts great dining, shopping, and nightlife. This pedestrian-only village is the best place to eat, relax, and enjoy moments with your family and friends after a long day on the slopes, which is why you should consider staying close to the Village during your Whistler vacation. 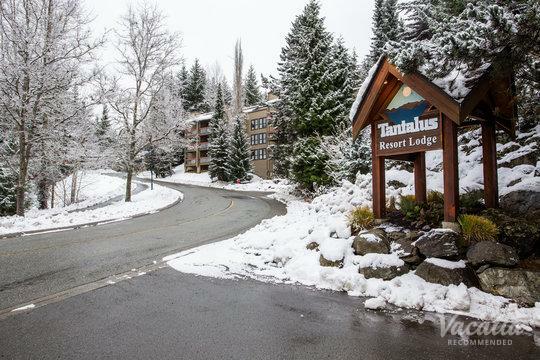 If you want to stay at one of the best Whistler Village resorts available, look no further than Vacatia, which strives to provide travelers with high-quality vacation rentals in popular destinations. Vacatia can help you quickly and easily sift through the selection of Whistler Village condo rentals available so that you can find the perfect rental for your group. Whether you are traveling with your significant other, with a group of friends, or with your family, Vacatia can help you find a vacation rental that meets all of your group's needs. Nestled in the mountains of British Columbia, Canada, Whistler has become known as one of the best ski resorts in all of North America. 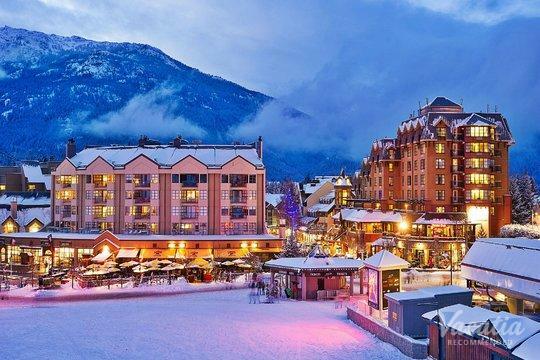 Avid skiers and snowboarders travel from places like California and Quebec to experience the world-class skiing in Whistler, and you're sure to fall in love with this breathtaking alpine village as soon as you arrive. If you want to make the most of your time in Whistler, consider staying close to the Village, where you can find great shopping, dining, and nightlife. With Vacatia's help, you can book your stay at one of the best Whistler Village vacation rentals available, which means that you will have a great home away from home to call your own in Whistler. Vacatia's rental properties offer much more than a standard hotel can offer, as they provide the added comforts and conveniences of a home like a fully equipped kitchen and an extra living area. When you stay in a Vacatia rental property during your next trip to Whistler, you'll feel as if you're actually living in this picturesque mountain town rather than just visiting. Whistler is a resort town located north of Vancouver, British Columbia. While it is best known for its top-rated skiing, Whistler is also a great destination during the summer months, when the snow melts to reveal great hiking trails, beautiful trees and flowers, and crystal clear lakes. If you want to escape the hustle and bustle of your daily life and breathe in the fresh mountain air, there's no better place to visit than Whistler. When you start planning your trip to this West Coast Canadian mountain town, let Vacatia take the reins so that you can reduce your stress and book a terrific vacation rental in Whistler. Vacatia can help ensure that your upcoming Whistler vacation is one you'll never forget.